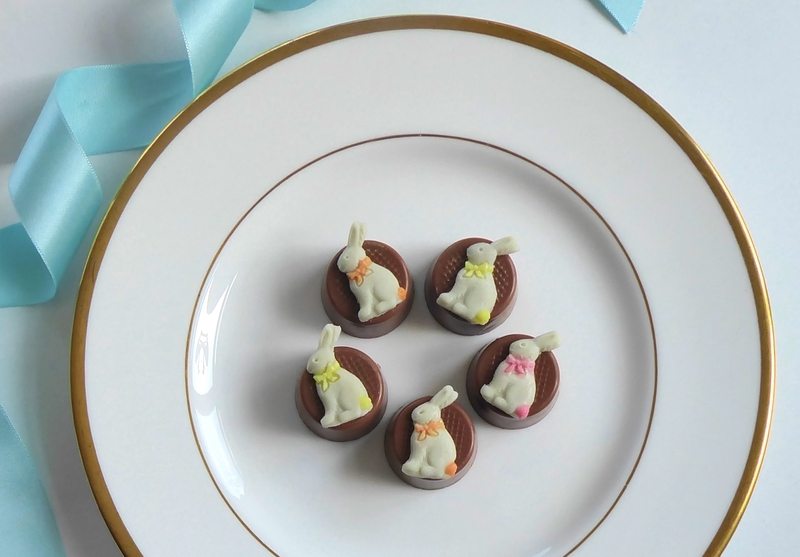 Have a change from eggs this year - say HOPPY EASTER to your family and friends with these gorgeous bunny chocolates! Choose from fruit flavoured fondant, caramel selection, peppermint fondant or rose fondant (with chocolate decorations) or almond marzipan (with marzipan decorations) and either milk or dark chocolate. 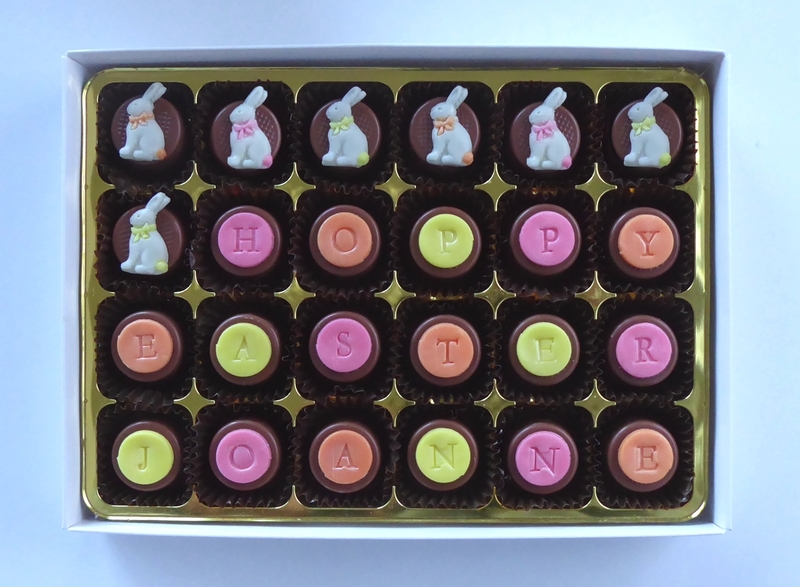 Add your own on choc message for a personalised Easter chocolate gift.